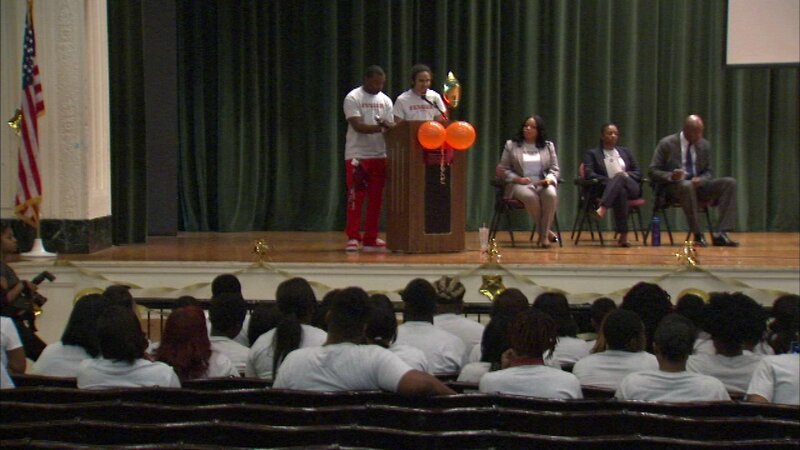 Fenger High School seniors announcing their college decisions. CHICAGO (WLS) -- The entire senior class at Chicago's Fenger High School will be going to college in the fall and their school-of-choice announcements Friday making them and their families "Chicago Proud." One by one, all 52 graduates announced where they'll study this fall. It's the first time in the school's history that an entire senior class has earned acceptance into college. The class has also acquired more than a million and a half dollars in scholarships.